2018 at approximately 6:30 a.m. Eastern on Thursday, February 28, 2019.
conference call and webcast to discuss earnings and other information. 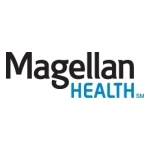 live via webcast at Magellan’s investor relations page at MagellanHealth.com. two hours after its conclusion.